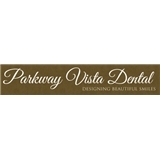 Parkway Vista Dental (Plano) - Book Appointment Online! Dr. Kamali and her staff are AMAZING! They are very friendly and easy to talk to during your visit. Everyone was willing to answer any and all of my questions without me feeling like I was annoying them. You can tell that they truly enjoy what they do and sincerely want to get to know you. Nice personal touch! I highly recommend them!